In tracing the stories of Yukiko (or Yuki) and her son, Jay, this debut novel also explores deeper issues of identity. 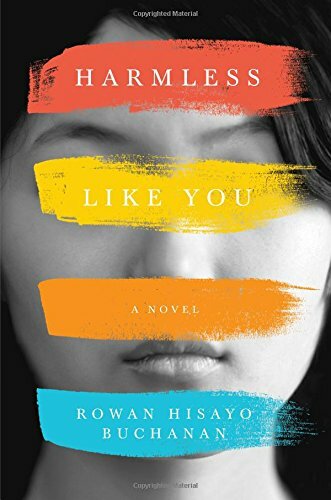 Author Rowan Hisayo Buchanan writes with beauty and sensitivity about what it means to be an artist, a parent, and an outsider in a foreign culture. Unfortunately, that moment when Yuki and Jay finally reunite in Berlin, 33 years after she had abandoned him, falls flat—in part because nothing happens, and in part because by then, the reader just doesn’t like either one of them. Growing up in New York City in the 1950s and 1960s as the daughter of an expatriate Japanese businessman, Yuki has never felt she belonged in any country. Her only friend is the dangerously charismatic Odile, who teaches Yuki to flirt with strange men in bars in order to rob them. So when her parents are recalled “home” to Japan in 1969, Yuki, then age 17, begs to stay behind and live with Odile and her mother, Lillian, a self-centered and vaguely New Age romance novelist. Tentatively, Yuki dreams of a career as an artist—a career her parents would never accept. Then Odile flies off to Italy for a whirlwind makeover as a top model. Now the only person who pays attention to Yuki is Lillian’s boyfriend, Lou, a sports writer with grand ambitions and disgusting eating habits who is more than twice Yuki’s age. As Yuki discovers once she moves into his dirty apartment, Lou is also violent. He hits her when she reads his secret poetry, when the bed sheets are stained after she does the laundry, when they argue about the Vietnam War. And more. Yet Yuki is so desperately insecure that she stays with Lou eight more years, until she finally turns to Edison Eaves, the nice young Canadian architect who has loved her all along. Like a Prince Charming, Edison whisks Yuki off to a house in the Connecticut suburbs with a yard swing and a bright room for her art studio. But it obviously isn’t a fairy tale ending, because Yuki abandons Edison and their son when Jay is two years old. By the time Jay finds her and the novel begins, Yuki is a little-known conceptual artist in Berlin, while Jay and his Chinese-American wife, Mimi, own a struggling art gallery in hipster Brooklyn. Author Buchanan—who is of American, British, Chinese, and Japanese background—is best at describing the way an artist sees art and the world. Indeed, Buchanan writes with a sharp and original artist’s eye of her own. When Mimi drinks too much, “she turned rosy as a twelve-year-old girl's bedroom.” Early in her relationship with Lou, “Yuki’s lungs tried to flap after him” as he walks past her desk. The big problem is that the language is richer and deeper than the characters. Certainly, the reader feels sympathy for Yuki and can even understand why she would stay with Lou. After a while, however—especially after she marries Edison—Yuki’s helplessness becomes annoying, and Edison’s saintly devotion is unbelievable. Of course it’s important to have complex, flawed characters with cringe-inducing traits; however, it’s also important to have characters the readers care about. But Buchanan is still young. What she lacks is technical experience, not talent. Her descriptions of being an artist show that she truly is one.